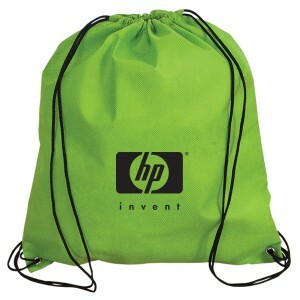 Drawstring bags are the contemporary fad in the fashion world. These simple and attractive bags have been around since a very long time as the days of the legendary Queen Cleopatra who used a drawstring bag to carry her vial of deadly poison. Men in ancient times carried bags made of dried animal guts that resemble modern day drawstring bag while women used ornate drawstring bags to demonstrate their social status. It was also a common wedding gift for brides. These gender neutral bags are popular among all age groups, which drives up its popularity as promotional items. 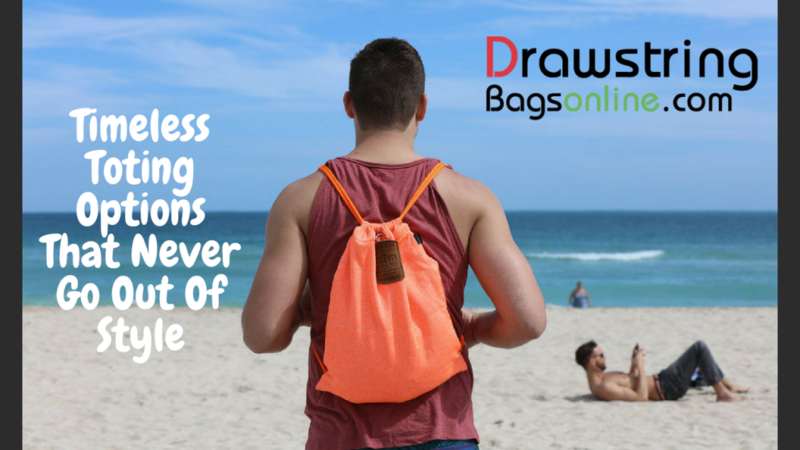 The biggest attraction of drawstring bags is its simple design with just a main storage compartment without any pockets or zippers. 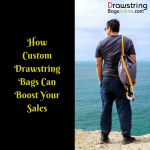 These bags have a drawstring fastening that will draw the material of the bag closely to give it its hallmark sack like design that can be opened and closed easily. 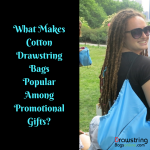 Drawstring bags are available in various sizes, colors and material choices including ecofriendly cotton and nonwoven polypropylene bags that do not end up in landfills. Though these bags may look diminutive, these can hold a huge quantity of personal items like costumes, game day supplies, travel essentials and more. Trendy and easy to carry, these bags will never look out of place. 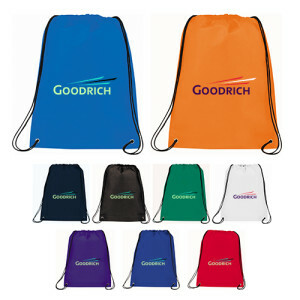 The brilliantly colored surface of these bags will double up as a great billboard for your brand and message. 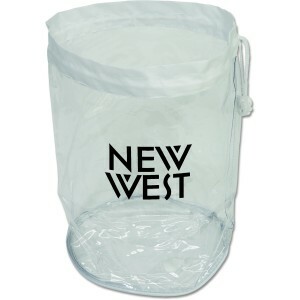 Polypropylene Drawstring Cinch Backpacks: These high purpose bags will make a perfect employee gifts, tradeshow handout or store promotional items. The large compartment for storing things and the vibrant color choices are its calling cards. Put your brand on these and see how these logo items will turn heads at every event! Non-Woven Sports Pack Polypropylene: Looking for a delightful handout to promote sports clubs, events or sports supply stores? This polypropylene drawstring bag with ample space for managing sports essentials and other game day accessories will make a great choice. Personalize these with your brand and message and see how these logo items will make a portable, high visibility billboard for your brand. Split Decision Cotton Cinch Bags: Made of cotton canvas, these custom printed split decision cotton cinch bags will make a great choice for daily use and special occasions. 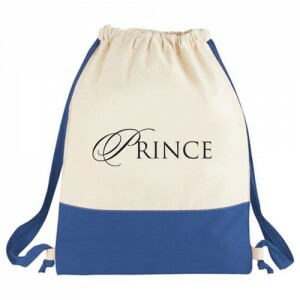 With the dual advantage of both backpack carry or drawstring design, these bags can be carried the way your recipients like. Imprint your brand and message and see how these logo items will double up as a high visibility branding tool. 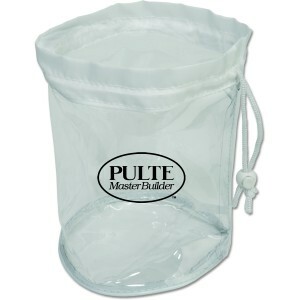 Large Clear Mesh Drawstring Bags: Designed for the game day supplies and the stadium gate security check, these clear mesh drawstring bags will give your brand the much needed exposure and portability. 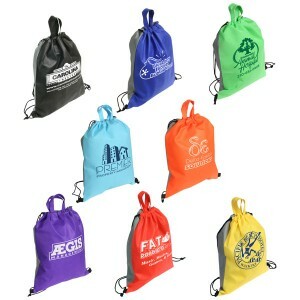 Have you used drawstring bags in your promotional mix? If yes, share your thoughts at the comments section.